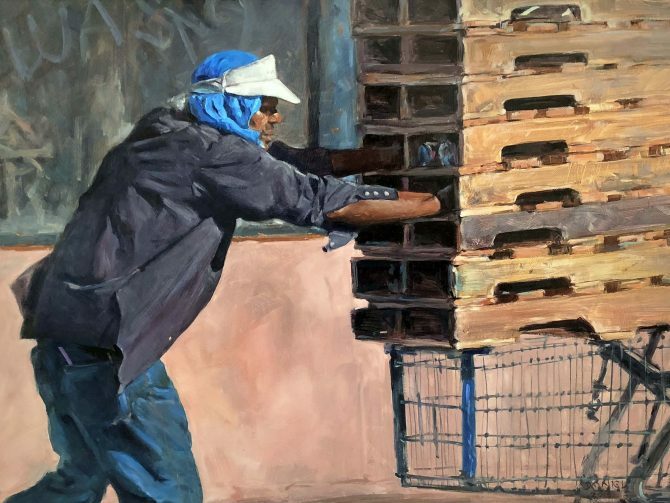 A series of paintings depicting the homeless with the purpose of increasing awareness of this national crisis, thereby generating compassionate understanding as well as encouraging involvement in homeless outreach. Daniel Miller has worked professionally in a variety of art-related careers including silversmith, goldsmith, painter, sculptor, designer, and director. He created sculptural elements for many major motion pictures such as Honey, I Shrunk the Kids, 007 License to Kill, and Chronicles of Riddick. His large-scale sculptural elements are featured in theme themed environments around the world as well as in several casinos on the Las Vegas strip. Today, Miller lives in Las Vegas and devotes his creative energies to his passion for oil painting.